Like most people who played FFXII, I was drawn to Balthier from the moment he first appeared on screen; he introduced himself as the leading man, and from there I was really just along for the ride. In the years since, I've come to appreciate his character on a number of different levels. 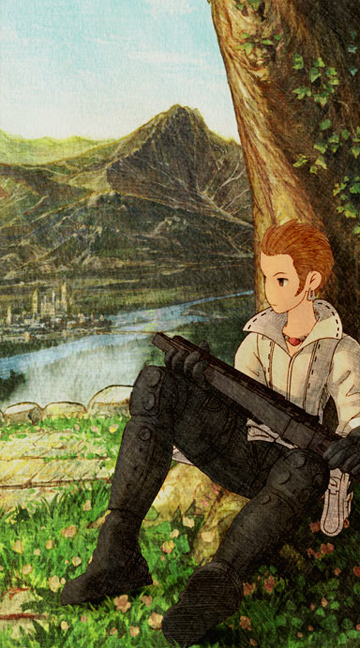 You can read more of my commentary on Balthier over here at Winds of Change; please be aware that this link contains spoilers for the entire game. This layout features artwork of Balthier from his (inexplicable) cameo in Final Fantasy Tactics: The War of the Lions. The background pattern is by Hybrid Genesis. Interested in affiliating? Just contact me. Any Final Fantasy-related fanlisting is welcome for affiliation.